Monday, February 10th, promised to be a beautiful, sunny and warm day – a perfect day for a day trip! 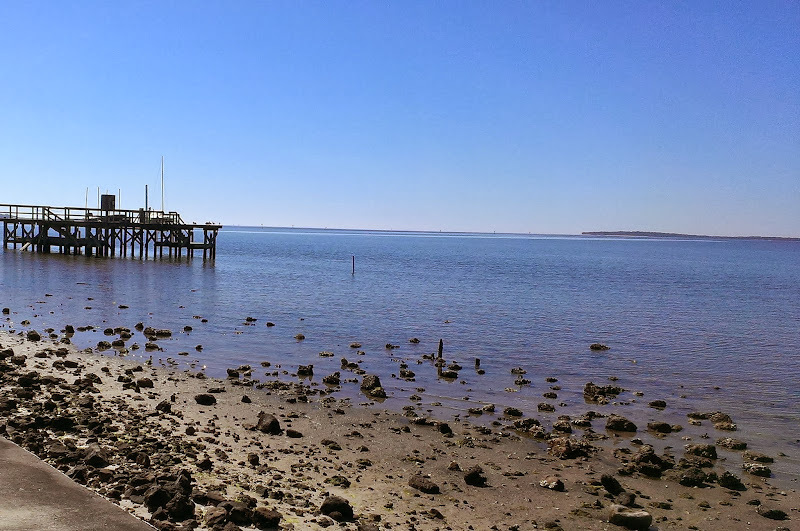 In the short time we have been RV’ing, we have read and heard a lot about Cedar Key so we decided that it might be worth the hour drive from our site at Williston Crossings to check it out. Leaving the coach around 10 am, we stopped down the street at the Driftwood Restaurant for a quick, pretty standard breakfast. 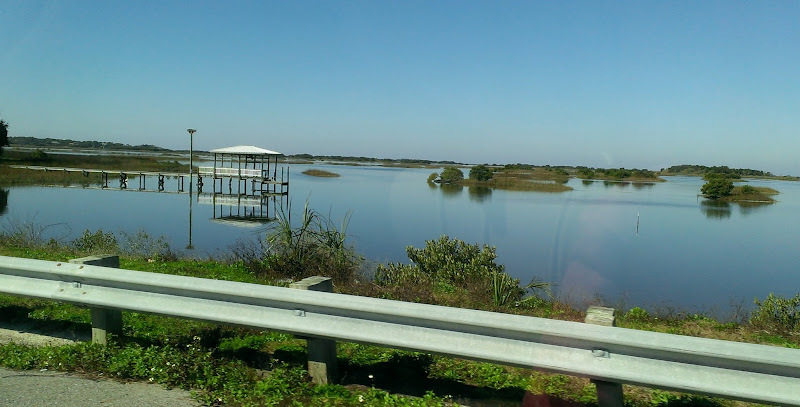 It wasn’t long before we were on our way – it was a pretty easy and typical Florida road trip, a straight run on FL-24, a 2 lane, very flat, very straight highway, bordered on each side by woods and salt marsh. 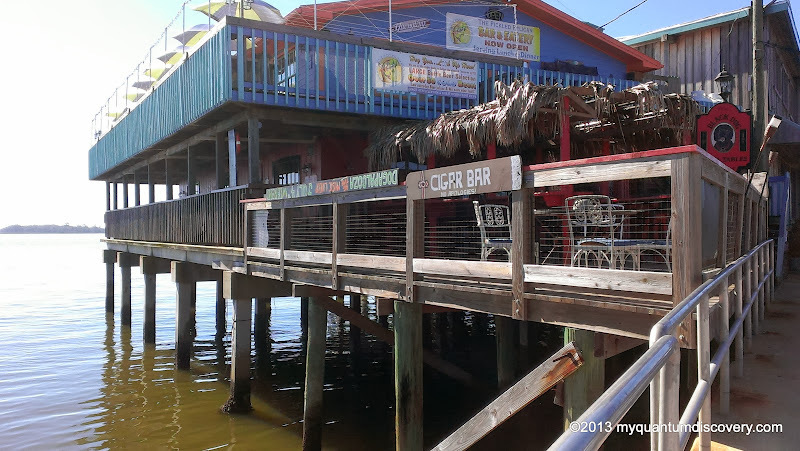 With a permanent population of less than 1000 people, Cedar Key is located on a cluster of islands, known as the Cedar Keys on the Gulf Coast. 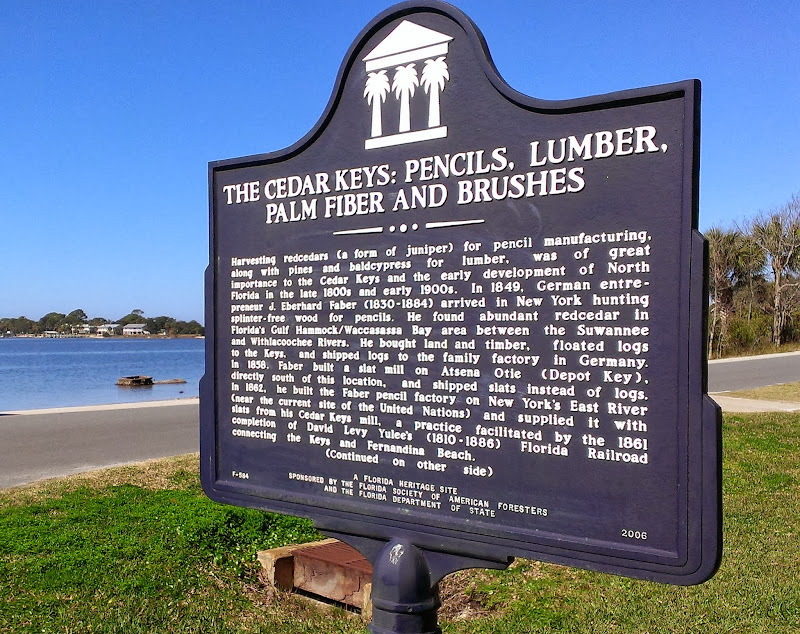 Cedar Key is named for the red cedar which used to be abundant in the area. Before going to Cedar Key, I read that John Muir, the great botanist, naturalist, and conservationist walked one thousand miles from Louisville, Kentucky to Cedar Key in 1867. He contracted malaria and remained in Cedar Key for several weeks while recovering from the illness. Muir documented his journey in his book, “A Thousand-Mile Walk to the Gulf “. One passage from his journal says: “For nineteen years my vision was bounded by forests, but today, emerging from a multitude of tropical plants, I beheld the Gulf of Mexico stretching away unbounded, except by the sky. What dreams and speculative matter for thought arose as I stood on the strand, gazing out on the burnished, treeless plain!” Even now, obviously many years later, we felt the same – after driving for an hour in nothingness, suddenly there’s this charming town bordered by the sparkling waters of the Gulf! 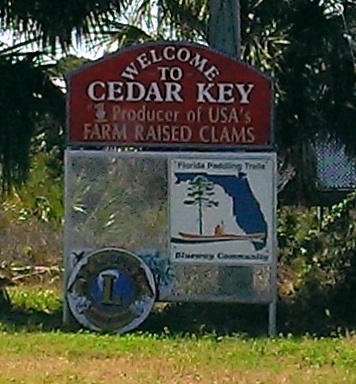 Besides tourism, it is one of the largest producers of farm raised hard shell littleneck clams known as “Cedar Key Sweets” so there are several aquaculture facilities in the area. 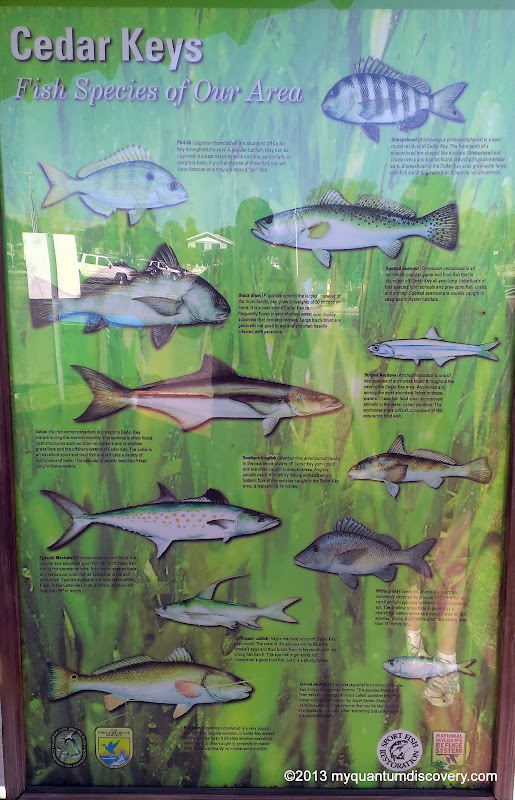 As we approached Cedar Key, we passed one of them, Southern Cross Sea Farms which offers tours of their hatchery which might have been interesting but unfortunately we ran out of time. Maybe next time. 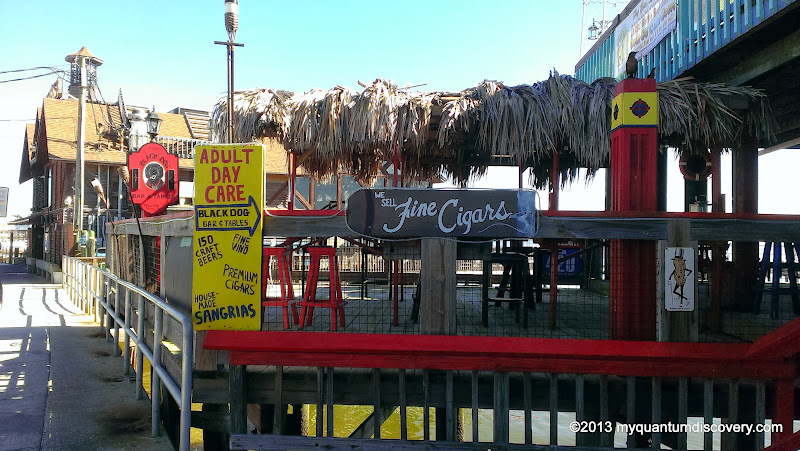 People say that Cedar Key is what Key West used to be like 50 years ago. This is old Florida, the “before Disney” Florida. Others have blogged in depth trying to convey what Ceder Key is all about, so I’ll summarize just by saying what it is not – it is not a place where you will find the typical touristy bling or glitz or a WalMart or a Starbucks or a Days Inn or any other type of homogenized American “infastructure”. If that’s what you are looking for don’t bother coming here because you won’t find it! 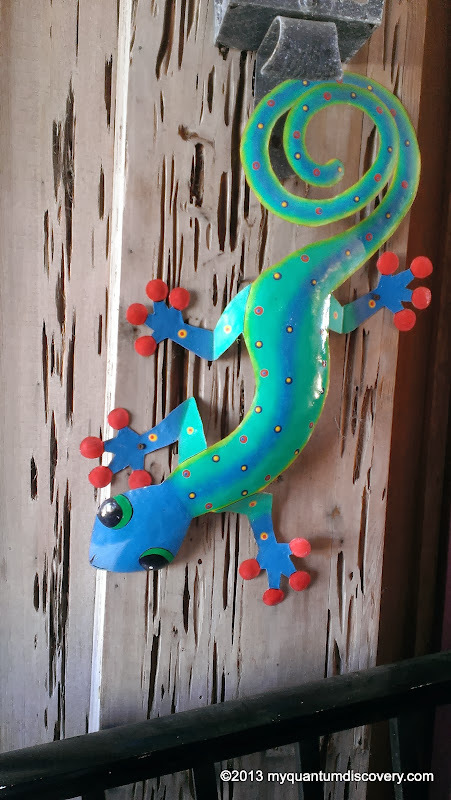 Instead you’ll find a charming collection of small artist shops selling local items, a smattering of restaurants specializing in freshly caught seafood, and a few B & Bs. One of them, the Island House & Restaurant was established in 1859 and is on the National Regis ter of Historic Buildings. You will also find a very laid back relaxing kind of “stop and smell the roses” feel to the place. After parking the van, we walked over to a small city park and a beach where there were several locals offering kayak rentals/tours, fishing excursions and boat tours. 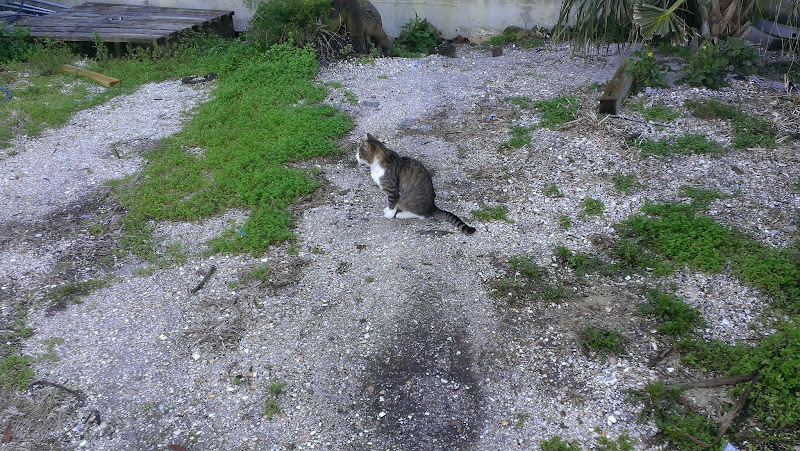 It was such a pretty day, it was tempting but since we only had one day here we decided we couldn’t afford the time. 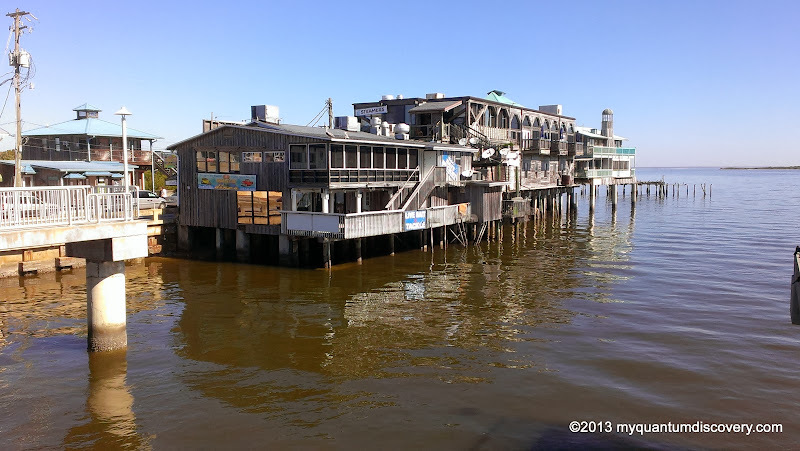 From there, we meandered down the main drag along the water passing by the small shops and restaurants, then ultimately walking out on the fishing pier where we hung out for a bit. In addition to the learning about John Muir’s walk, there is a lot of other history to explore here. 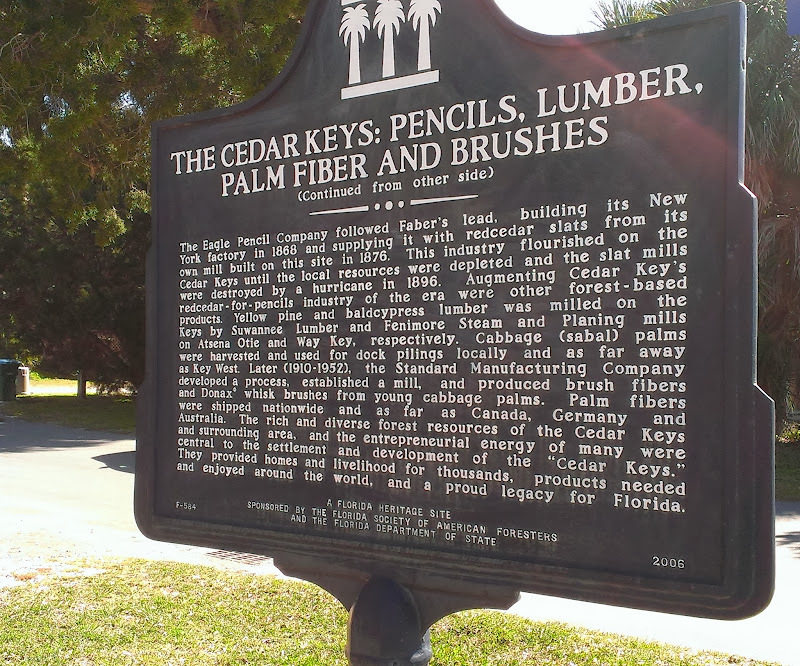 The boat tours will take you over to Atsena Otie (Depot Key) where in 1858 J. Eberhard Faber built a cedar slat mill. This mill supplied cedar to the Eagle pencil factory (also owned by Faber) in New York City until it was destroyed by a hurricane in 1896. Other lumber (Southern Pine and bald cypress) was also milled here as well. 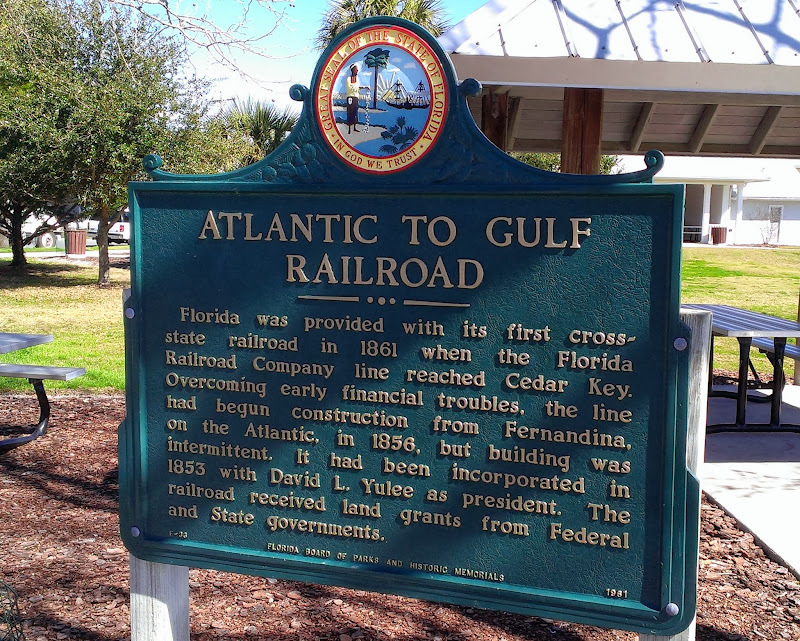 What helped to make the slat mills and lumber industry successful was the establishment of the first cross state railroad by the Florida Railway Company which extended between Fernandina on the Atlantic Coast and Cedar Key on the Gulf Coast in 1861. 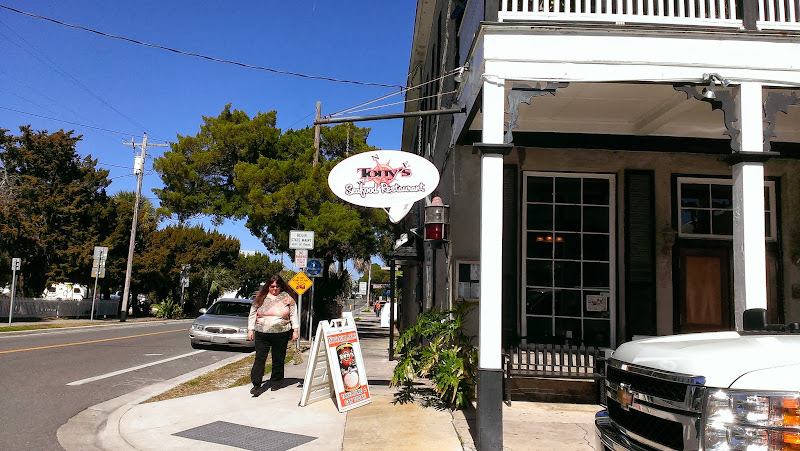 There’s also the Cedar Key museum but that ended up being added to our list of things to do when we come back to the area someday. By the time we had done all that walking, our tummies began complaining about lack of nourishment. 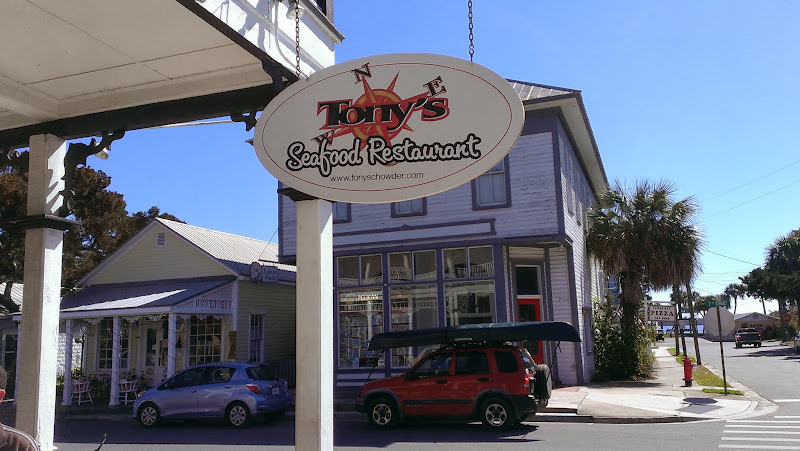 We ultimately decided to have lunch at Tony’s Seafood Restaurant so we could try their award winning clam chowder. 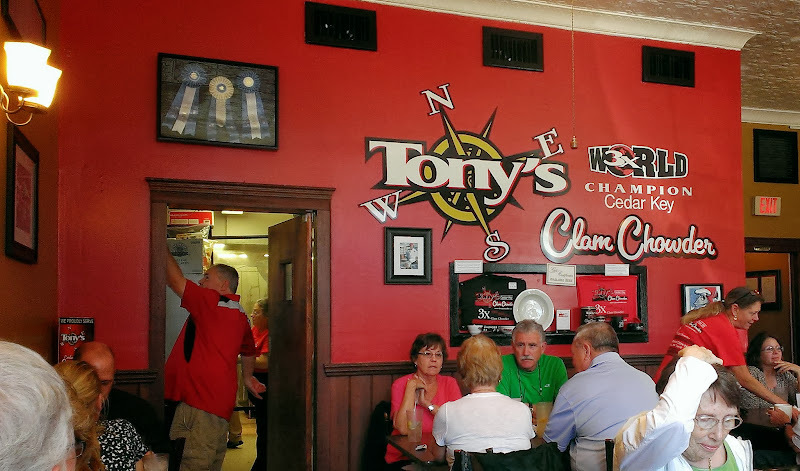 We had heard the claims that Tony’s clam chowder was as good as or better than the real New England Clam Chowder. What? How can that be? Only native New Englanders make the best clam chowdah! Being die hard New Englanders that we are, I must say we were pretty skeptical. Lines were beginning to form outside the restaurant and we had to wait for a table. But it didn’t take long – we only had a chance to relax and enjoy the wonderful sunshine for about 20 minutes when a table became available. Once we were seated, we realized that they actually won the Clam category at the annual Chowder Cook Off in Newport, RI, three years in a row in 2009, 2010, and 2011. How bout that? 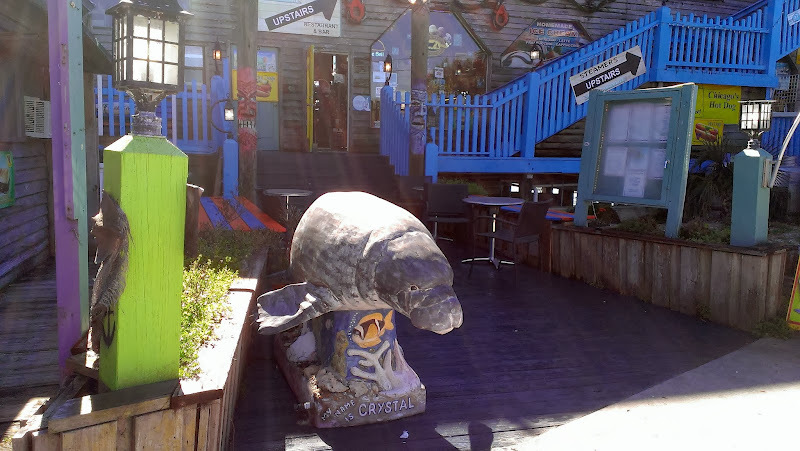 I wondered why they hadn’t won recently but quickly found out that once you have won three times, the restaurant can no longer compete and it becomes a member of the “Chowder Hall of Fame”. Update: It appears the Newport Yachting Center, the prior venue for the Chowder Cook Off and many other events, has been sold as of 2014. Future events will apparently be moving to a new venue such as Fort Adams State Park. 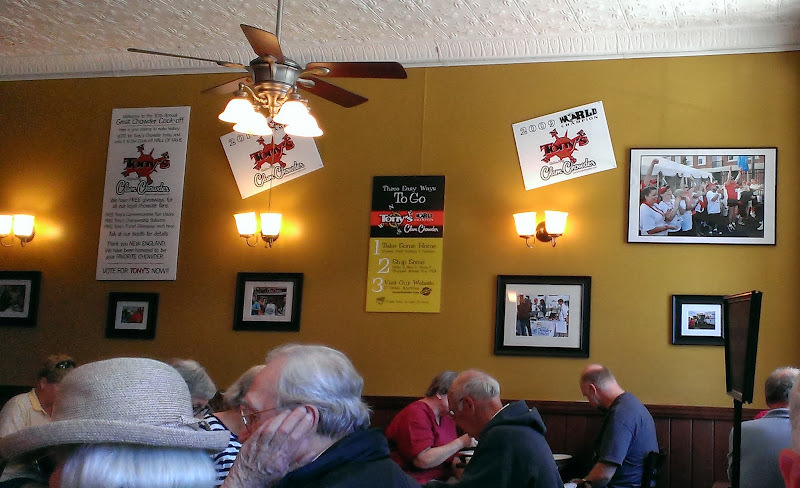 Although they have other items on the menu (oysters, clams, burgers, etc. 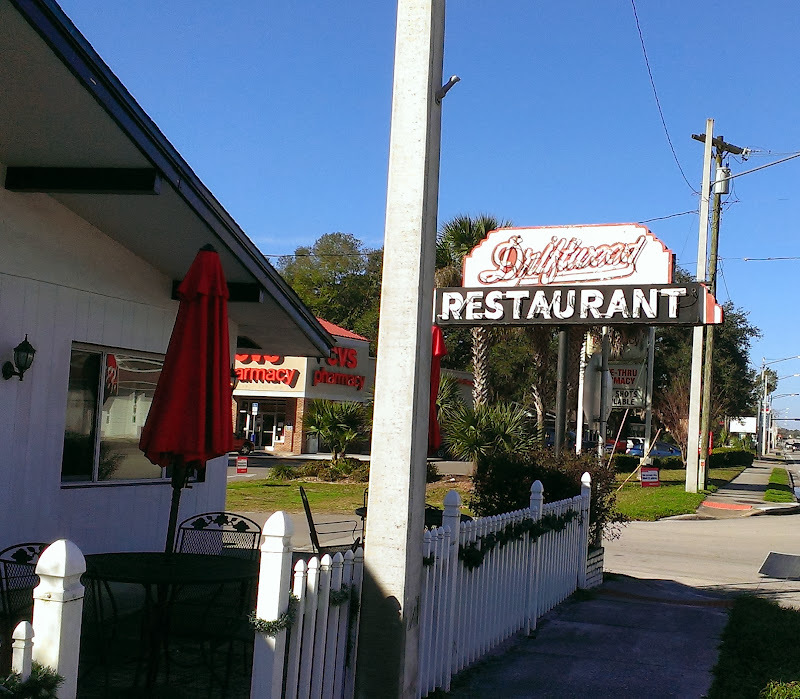 ), we decided to have their combo special – a cup of clam chowder with either a grilled cheese sandwich or a salad for $8.99 (you could upsize to a bowl for $10.99). We both had a bowl – I had a salad and Rob had the sandwich. Well, I have to admit, even though it wasn’t made in New England, it was pretty darn good, creamy but didn’t have that pasty flour taste to it and had lots of clams! In some of the reviews we read some people seemed to think it is too spicy but we didn’t think so, maybe a little spicier than typical NE Chowder but sooo delish! So the skeptics quickly became believers that you can have delicious clam chowder outside of New England! Although, Rob still says his favorite is good old RI “clear broth” style clam chowder. You can buy a pint, quart or a gallon at the restaurant or order it online through their website. But for those of us traveling in Florida, Publix supermarket now has it on their shelves – we just bought a can. It will be interesting to see if it is as good as what we had in the restaurant. After lunch we decided to check out a few of the campgrounds in the area. 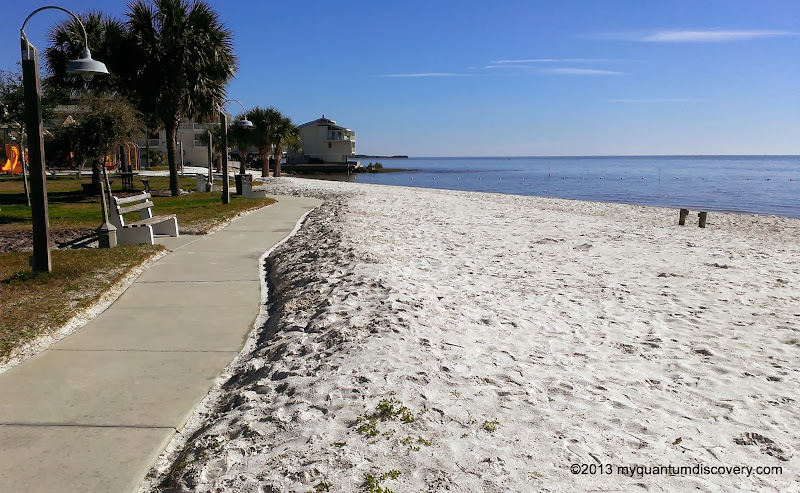 One of the blogs we follow is Technomadia – we’ve never met the authors, Cherie and Chris, also full-timers, but they often spend time at the Sunset Isle RV Park which is the closest campground to Cedar Key. 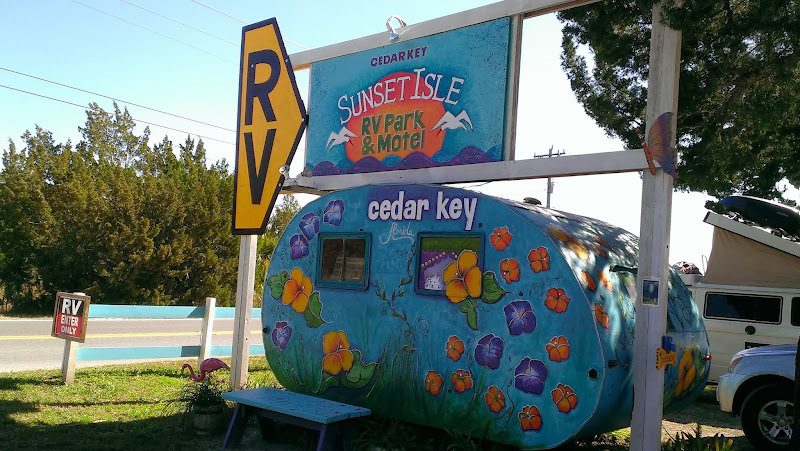 In fact they recently wrote a post, Cedar Key for RV’ers which is interesting reading if you are considering staying at Sunset Isle or another of the campgrounds in the area. If you want to immerse yourself in the “community” here, watch sunsets every night, chill out to the tunes of the local musicians and don’t mind getting up close and personal to your neighbors, this is the place to be. But if you want space and/or privacy, this probably isn’t the place for you. 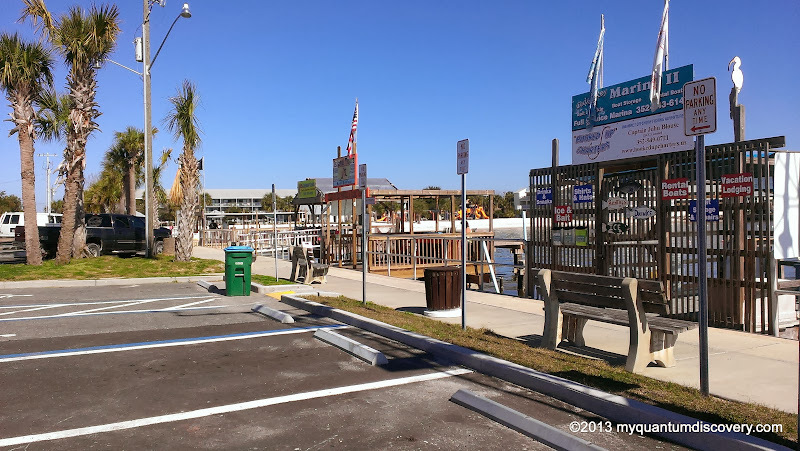 Another RV park that we checked out was Cedar Key RV Resort, a pretty large, big rig friendly RV park located about 10 minutes from the town. Amenities include large sites with cement pads, full hookups, a clubhouse, a pool, wifi and cable. If we were going to stay in the area, this is probably the park we would choose. Right across the site from this resort is the Angler’s RV Park. We didn’t drive through this park, it looked okay but not as nice and seemed to have smaller sites than Cedar Key RV Resort. 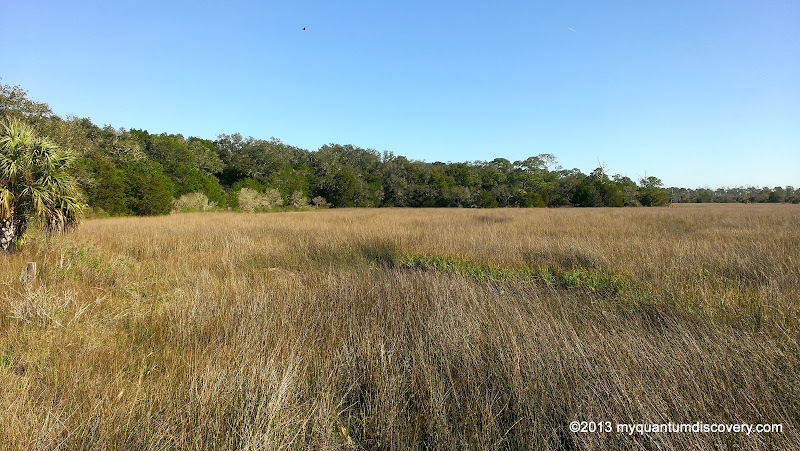 There is also Shell Mound County RV Park in Levy County located about 9 miles north of Cedar Key at 17650 SW 78th Place which seemed to have some good size sites. They don’t have a website but I found a blog site that had a review of the park. 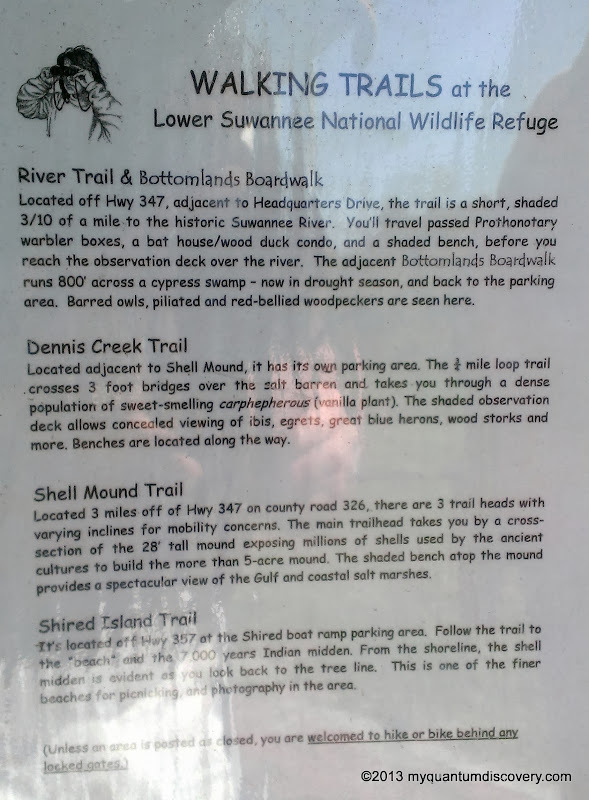 Once we were done checking out campgrounds, we then decided to take a ride to the archaeological site known as Shell Mound which is part of the Lower Suwannee National Wildlife Refuge and is adjacent to the Cedar Keys National Wildlife Refuge. After parking, we walked down the 0.3 mile loop trail. As we walked up a slight incline, it was interesting to see some dug out sections where instead of a base of dirt there were only shells. 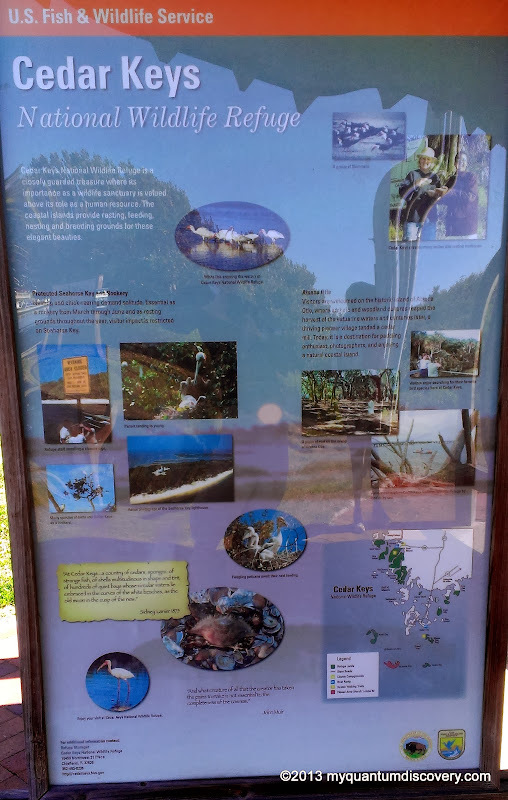 Shell Mound covers 5 acres, is 28 feet above sea level and was built between 2500 BC and 1000 AD by several unknown cultures known as “shell cultures” from the remains of countless meals of oysters, whelks, fish, turtle and deer bones and other household debris. According to the sign at the beginning of the trail, this mound used to be much larger but in the mid-1900’s before the Fish and Wildlife Service took it over, much of the mound was carted away in dump trucks to be used for fill material and road construction. After stopping at one of the overlooks to enjoy the view, the trail eventually led down the mound to a gravel parking lot and a fairly long boardwalk. 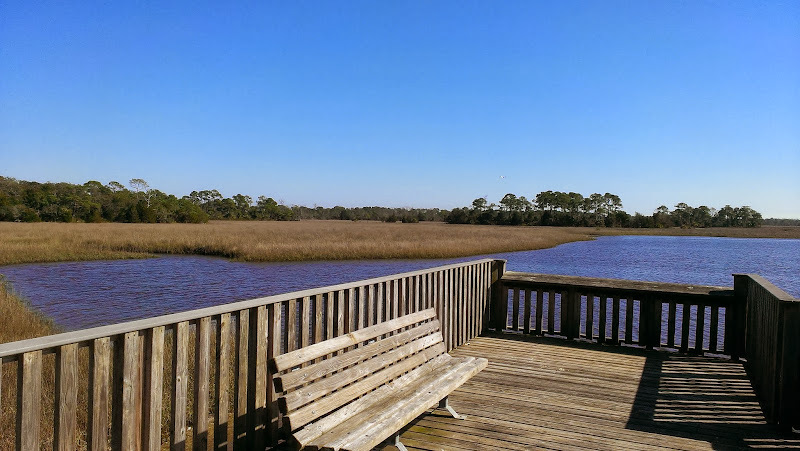 Walking out to the end of the boardwalk, we enjoyed a view of the water and surrounding marshes. What a perfect day! By now it was getting late in the afternoon so it was time for us to head back. After an uneventful drive back, we arrived back at the coach where our kitties happily (at least they seemed happy) greeted us. It was a quiet evening. Here are some more pictures…. Love your restaurant reviews! We would have fun together because that’s what we like to do! Like the campground reviews, too. I put the good ones in my favorites. Sounds good, hopefully we will cross paths soon!